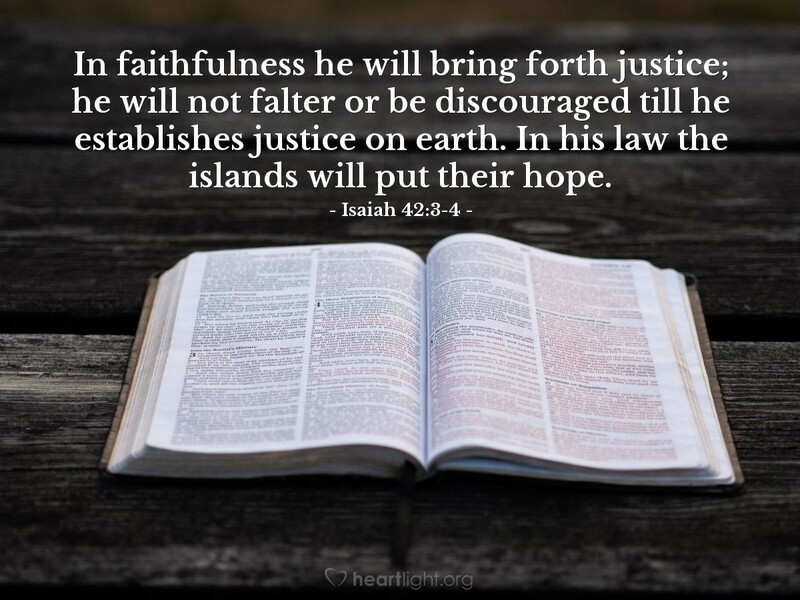 God will not falter! In a world where justice so seldom prevails, God is our only real assurance that justice will ultimately triumph. The hope for all lands and all peoples is for Jesus to return and bring with him God's truth and justice. Maranatha, come O Lord! Righteous and merciful Father, I am sick of the corruption in our world and the injustice done to good, but powerless, people. Please send Jesus back soon and bring with him the righteous and just rule of your Kingdom. In Jesus' name I pray. Amen.